Title Boxing Club is opening its first Miami-Dade location in Sunset Harbour, in the space currently occupied by greenmonkey yoga, as it joins a plethora of boutique fitness spots in the hot Miami Beach neighborhood. Greenmonkey, in turn, is moving to a brand new building in Sunset Harbour, 1800 Bay Road, Jonathan Carter, senior director of retail leasing for Comras Company told The Real Deal. Title Boxing is leasing 3,200 square feet at 1827 Purdy Avenue, a standalone retail site owned by Greenstreet Partners. CBRE’s Patxi Diaz and Zach Winkler represented Title Boxing in the deal. Comras‘ Carter represented the landlord. He said he expects the boxing center to open in several months. Greenstreet Partners is also the owner of 1800 Bay Road, a new building that will be completed next month. 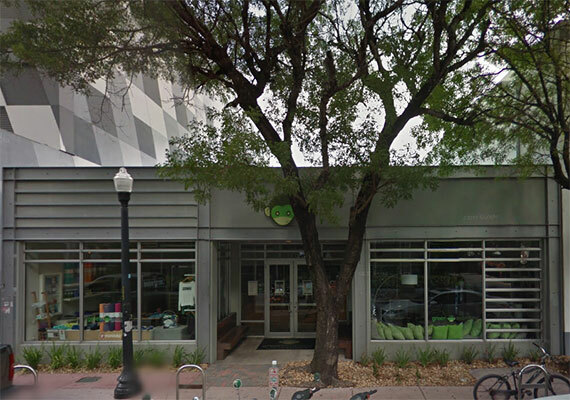 Greenmonkey will expand its space there, occupying the entire second story or about 3,500 square feet, Carter said. Dr Smood, a cafe specializing in organic food and drinks — with locations in Wynwood and South Miami — and What Goes Around Comes Around, a New York-based upscale consignment shop, will each lease ground floor space in the 1800 Bay Road building, Carter told TRD. He declined to disclose the leasing terms for any of the tenants. Title Boxing Club will offer boxing and kickboxing-inspired workouts that it says can burn up to 1,000 calories an hour. In South Florida, the company currently has franchises in Hallandale Beach, Fort Lauderdale and Palm Beach Gardens, according to its website. Title Boxing says it has more than 500 clubs under development nationwide and in Mexico. Sunset Harbour has evolved as a fitness-centric hub, with such boutique centers as Barry’s Bootcamp, FlyBarre and Flywheel, as well as greenmonkey. The neighborhood is also home to Anatomy at 1220, a fitness center and spa.